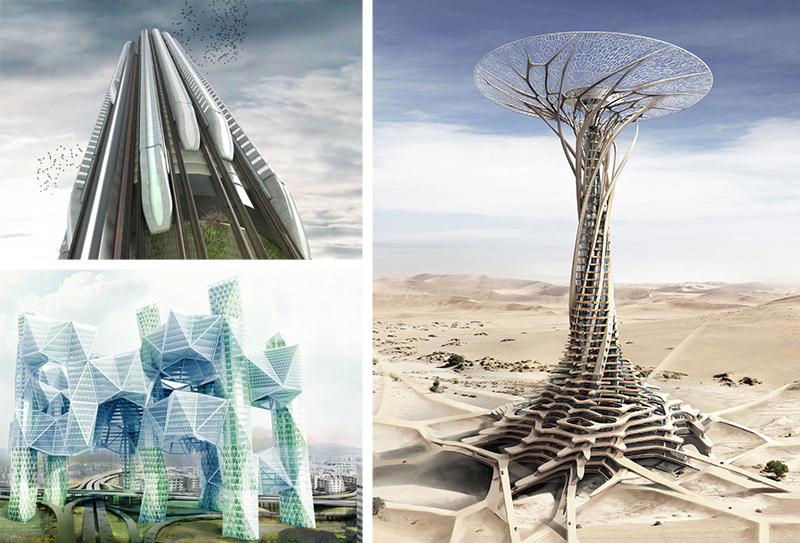 From 3D-printed towers of sand to garbage-powered architecture of the seas, these eVolo Skyscraper Competition entries push the envelope in every possible direction, and a few impossible ones too. 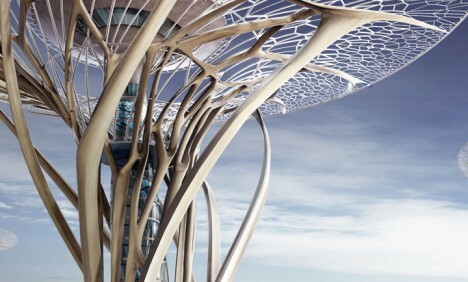 A common theme this year: harvesting energy and building materials from local environments, and turning pollution into part of a futuristic solution. 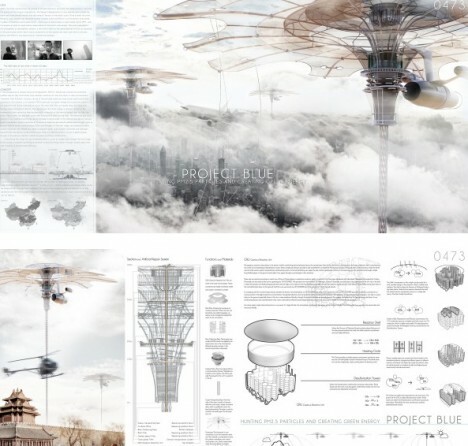 The award winners are certainly impressive, but a number of other entrants are well worth their honorable mentions as well. 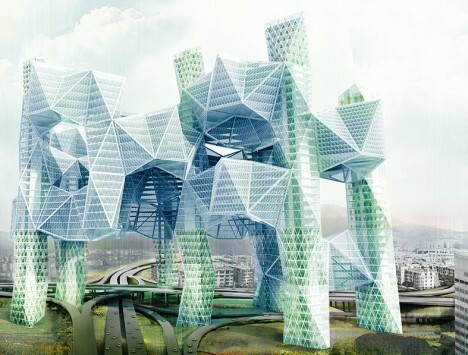 Set everywhere from the urban jungles of Los Angeles and suburbs of Detroit to the world’s rain forests, deserts, oceans, here are ten designs, selected from hundreds, all deserving of a closer look (leading up to and including the three award winners). 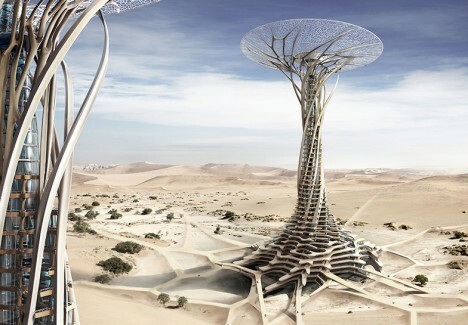 Sand Babel is one such runner up, an incredible skyscraper crafted from the very sands on which it sits, its 3D-printed construction powered by solar energy (abundantly available). 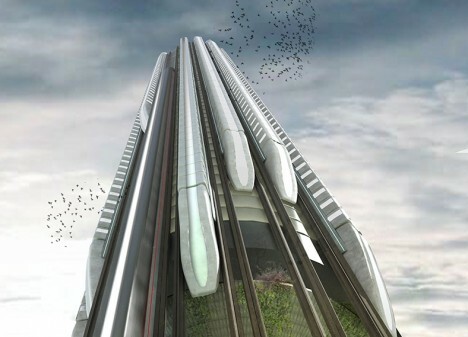 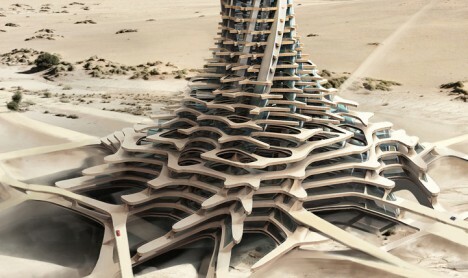 Inspired by desert tornadoes, its above-ground portion is anchored by an underground system of root-like spaces. 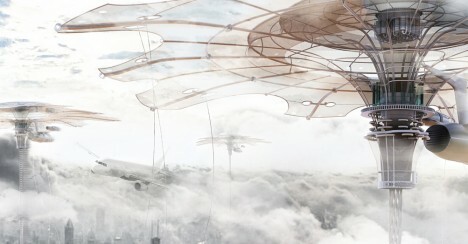 Temperature differentials help the structure generate water via condensation along its expansive top viewing platform.